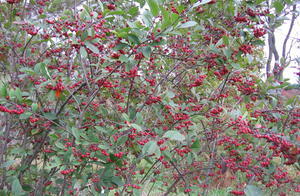 This adaptable selection has very glossy, dark-green foliage with superior crimson red color in the fall. 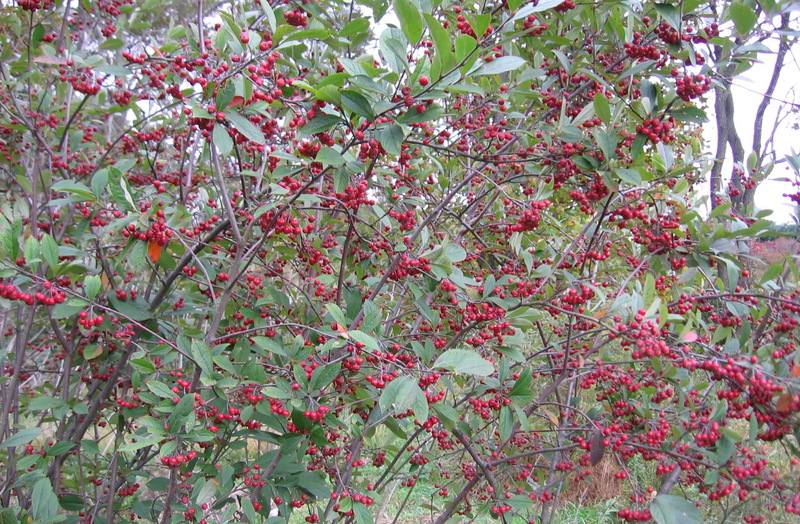 Abundant white flowers and large red glossy fruits provide late season berries for birds. Best fall color in full sun and moist, well drained soil, but is adaptable to shade and dry locations. A native that is an excellent substitute to the exotic, invasive Euonymus alata (Burning Bush).